Are Non-Purist Brands Beginning to Express Purist Watchmaking Approaches? Pt 1. In this week's Throwback Sundays, we look at six watches that you might want to wear for your next errand to the supermarket or school. Imagine yourself in this situation: you need to head down to a supermarket that is ten minutes away to grab some ingredients that have just run out. As a Watch-Idiot-Savant (WIS), you would not want to leave the house without wearing a watch, and yet you also not want to wear something that is too pricey too. Well, what will you choose? We are pretty sure that this scenario had happened many times, especially if you have kids or a family. It is inevitable that you might need to pick up your precious children from their enrichment classes, or to help your spouse pick up some parcels from the post office.Of course, any watch will do, but for its much more fun with an appropriate watch. Hence, for today’s article, we will be looking at six simple and sturdy watches that will do the job. The watches that we are selecting need to be solid and reliable, and yet at the same time not too expensive or over the top. Bonus points will be given for watches that looks handsome as well. So, what are the watches that have match our criteria? Let’s find out! The Seiko Automatic Divers PADI SRPA21 – a special edition that was created in collaboration with PADI. 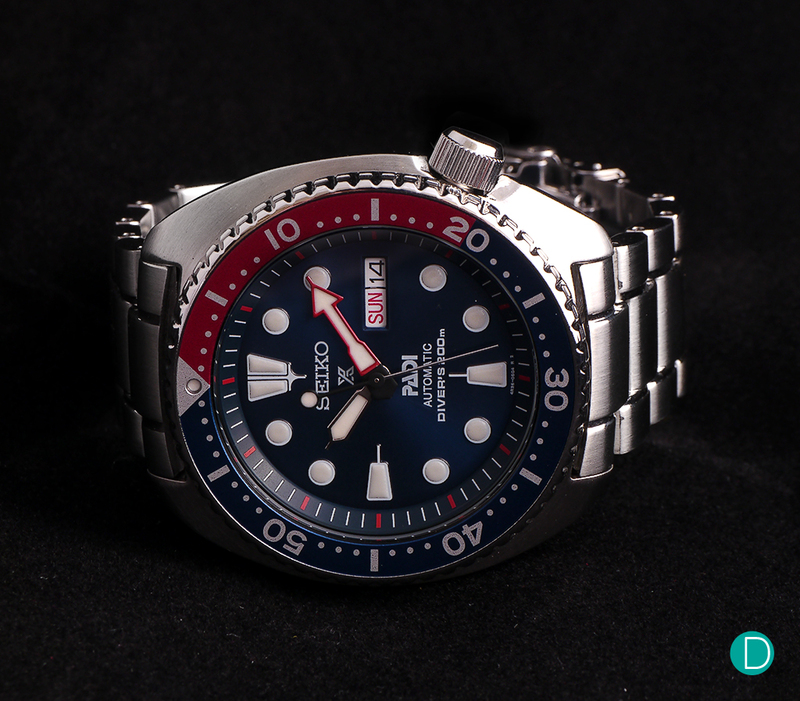 The first watch that we have is a classic from Seiko: the Automatic Diver. The Seiko Diver has its roots way back to 1965, with the “62MAS”. Over the years, Seiko have produced many other similar watches, which includes the iconic 6309, which is known as the “Turtle”. The latter got its nickname thanks to its case design which resembles a turtle shell. More recently, Seiko re-launched the “Turtle” collection, featuring watches that were fitted with the recognisable case. One of the latest pieces, which was produced in collaboration with PADI, comes with a sunburst blue dial and the “Pepsi” bezel. The watch is fitted with Seiko’s Calibre 4R36 – an automatic movement with a day-date function, and a power reserve of 41 hours. Overall, at S$ 667.70, we reckon the PADI Diver offers an excellent value proposition with its price point and the solid build quality. 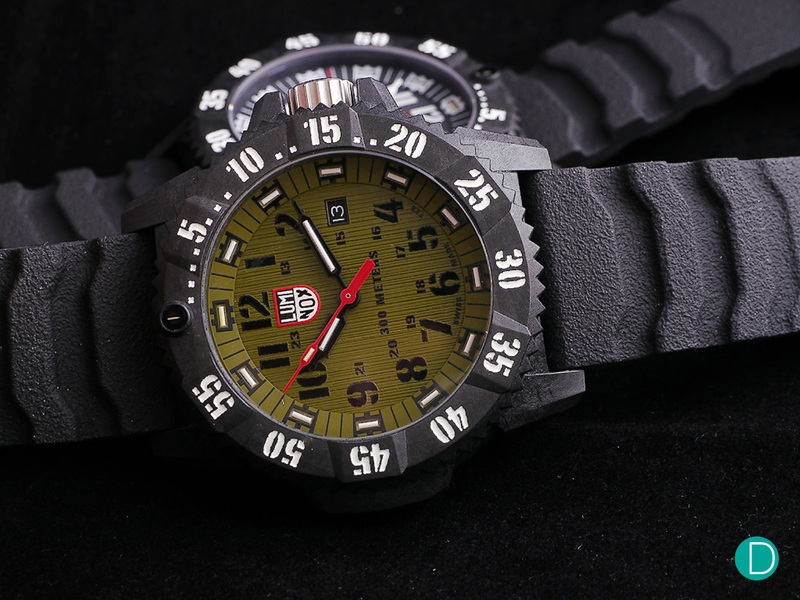 The Luminox Carbon Seal 3800 Series. A rugged and reliable tool watch. Luminox is often associated with the military, and there is a simple reason for that. The watch is rugged in its construction, and it is trusted by many military personnel who use it constantly in extreme and incredibly harsh conditions. The Carbon Seal 3800 Series is one of Luminox’s latest creation, and it certainly lives up to its reputation. The main highlight of this timepiece lies in its case. It is manufactured using a mixture of polymers and carbon bar, which increased rigidity and reduces the weight of the timepiece immensely. The case is said to be three times lighter than titanium, and yet it is resistant against scratches, heat and chemical. The 46mm watch has a depth rating of 300m as well. Besides the case, the watch also provides bright lume from the tritium-filled micro gas tubes, and it is powered by Ronda’s 715 HH6 quartz movement. This is a timepiece that requires minimal maintenance, and it can definitely perform as and when it is being called upon. The watch retails from S$ 1,060 onwards. Tag Heuer Connected showing the GMT screen. Users can currently choose between the GMT, Chronograph or a Live screen, each offering options and different designs. 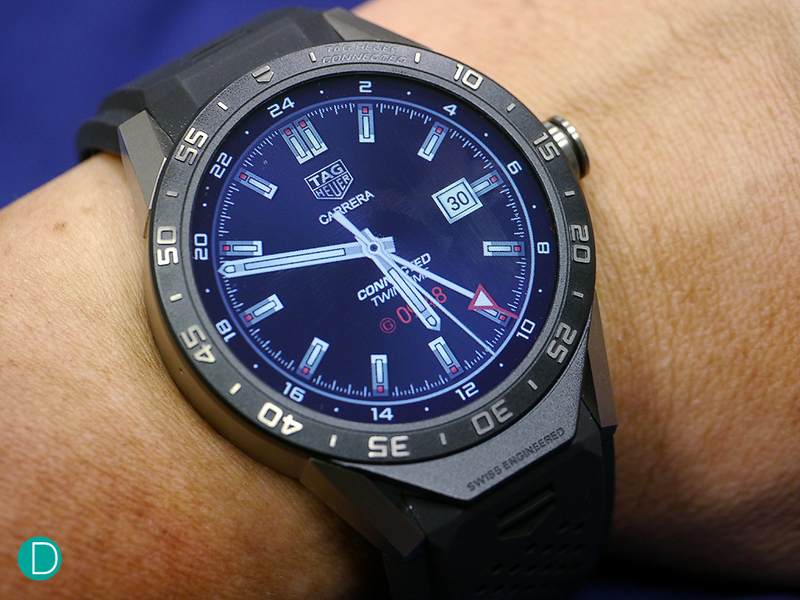 Joining in the fray of smartwatches is the Connected, from TAG Heuer. What makes the TAG Heuer stands out, among the rest of the smartwatch producers, is the fact it is produced by a major Swiss watch manufacturer. This means that they are able to combine the best practices of Swiss watchmaking, together with the technology to produce an electronic gadget. There is no doubt in the quality of the Connected. It is, by far, one of the most solid and well-finished smartwatches around. The 46mm timepiece is cased in titanium, and it is fitted with an integrated rubber strap. The watch feels rather light and comfortable on the wrist, which is certainly a plus point as well. The watch is powered by Intel Atom Z34XX processor, and it has a minimum battery life of 25 hours. The watch retails at S$2,100, and we are sure that its functions will work nicely for someone who needs to run a short errand (provided if the watch is charged, of course). 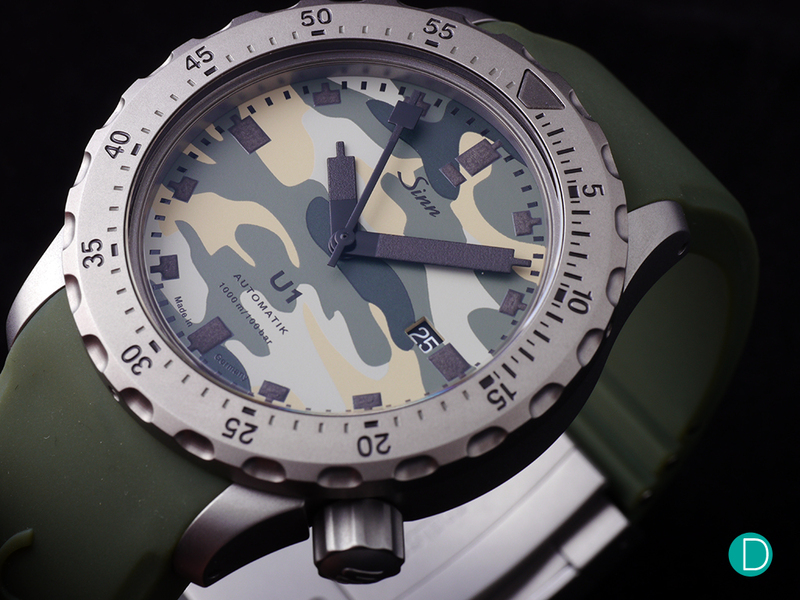 The Sinn U1 Camouflage Edition. Sinn is watch manufacturer that is highly revered by many, with its build quality and reliability epitomising German engineering at its finest. The U1, in our opinion, is one of the finest offerings from the company itself. Constructed in Submarine Steel, the U1 is virtually an almost indestructible timepiece. The case, which comes with a sand-blasted finish, has a water-resistant level of up to 1000m. In addition, the bezel is treated with the Tegiment technology, which makes it hardy and nearly scratch-resistant. The U1 is fitted with Sellita’s SW200 movement, with a date function and a minimum power reserve of 38 hours. It is available in different variants as well, such as the U1-Desert and the Camouflage that is pictured above. The latter is priced at US$ 2,160 (approximately S$ 3,060), and we reckon that it is a solid timepiece that will value-add to any collector’s collection. 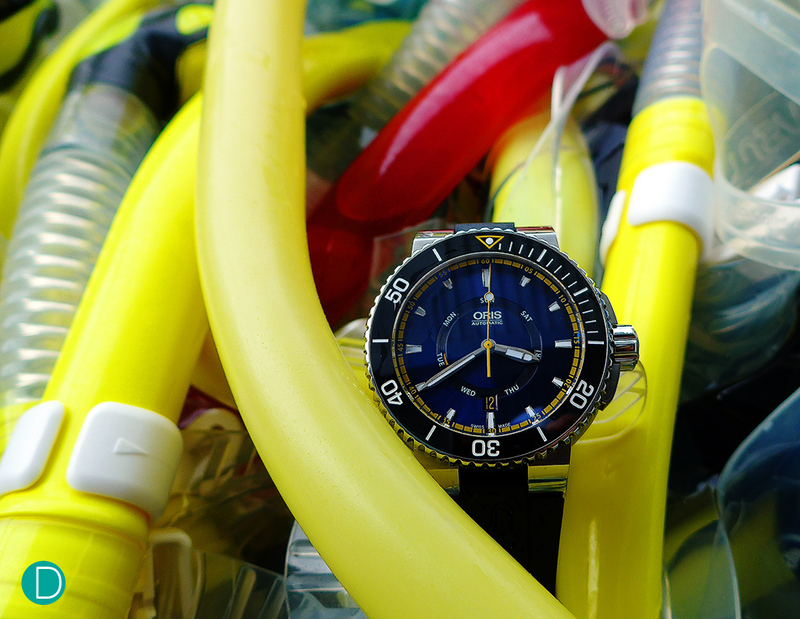 The Oris Great Barrier Reef Limited Edition II in its natural habitat. One of the brands that is often overlooked by many is Oris, a Hölstein-based watch manufacturer that is known for making affordable and decent watches. The Great Barrier Reef Limited Edition II, launched last year, is an excellent option. The watch, which is a collaboration with Australian Marine Conservation Society, aims to raise funds for the organisation to aid its conservation efforts. It is a full-fledged dive watch, featuring a legible blue dial and bezel, as well as a depth rating of 500m. The 46mm timepiece is fitted with Sellita’s SW220-1, which includes a self-winding rotor and a day-date indicator. Priced at CHF 2,100 (approximately S$ 2,970), the watch is limited to 2,000 pieces. It is definitely an excellent tool watch with a decent value proposition. And the best of all? You can do your part to contribute to the conservation efforts as well. It is certainly a win-win situation, in our opinion! 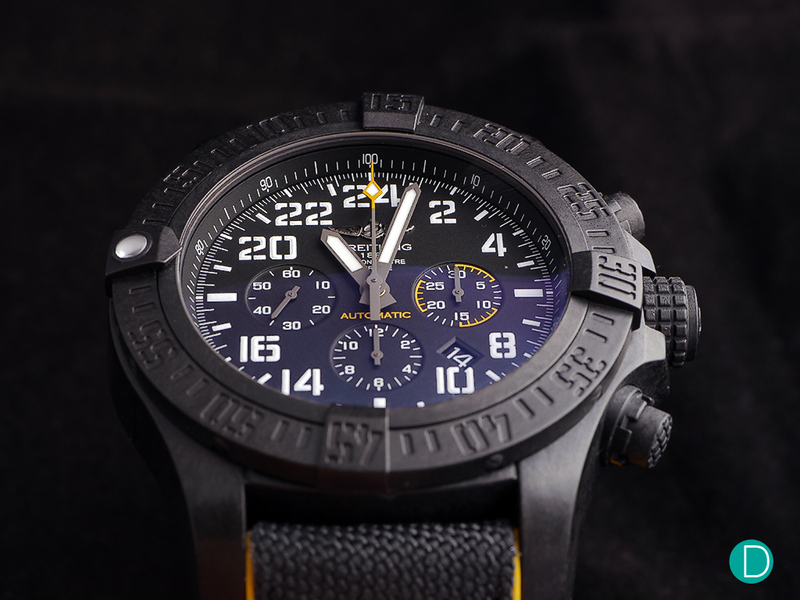 The Breitling Avenger Hurricane – a massive and masculine timepiece. We round up the article with a timepiece that is slightly different from the rest of the pieces that we have selected today: the Breitling Avenger Hurricane. The Avenger Hurricane, at the first glance, is certainly not just any ordinary timepiece. The 50mm timepiece is certainly massive, and its black Breitlight case gives the entire watch an uber-cool appearance. Notably, despite its sheer size, the watch is extremely light. This is because Breitlight is a composite material, in which Breitling shared that it is 3.3 times lighter than a similarly-sized titanium case. It is also harder and more corrosion-resistant to conventional case materials, with anti-magnetic and anti-allergy properties as well. It certainly works as well as it looks. Powered by Breitling’s Calibre B12, the self-winding movement boasts a power reserve of around 70 hours. In addition, the watch features a date display, as well as a chronograph function. With a price tag of S$ 11,870, the Avenger Hurricane is not exactly a cheap watch, but we reckon its stylish looks and wonderful performance justifies its price tag. It will also be an excellent company, especially if you encountered some waiting time while you are running your errands. Most of the watches that we have selected today are tool watches. It is not a coincidence, really. These tool watches are known for its reliability, as well as the fact that most of the pieces that we have selected today are priced rather reasonably. On top of that, they look rather good as well. It will surely do the job nicely, especially if you are not looking to wear something expensive when you are going to pick up your child from a soccer clinic. We have selected two interesting watches as well: the TAG Heuer Connected, as well as the Luminox Carbon Seal. These two watches excel in two different aspects. For the TAG Heuer, its features – such as the GPS Navigation Tool – may come in handy. On the other hand, for the Luminox, its incredible battery life allows one to pick up the watch and use it immediately, without having to wind or adjust the watch. It is certainly very useful, especially if the user is rushing for time. Do you agree with what we have selected? If not, what are the timepieces that you would have chosen? Let us know in the comments section below!